Never heard of Maslow & Co before? 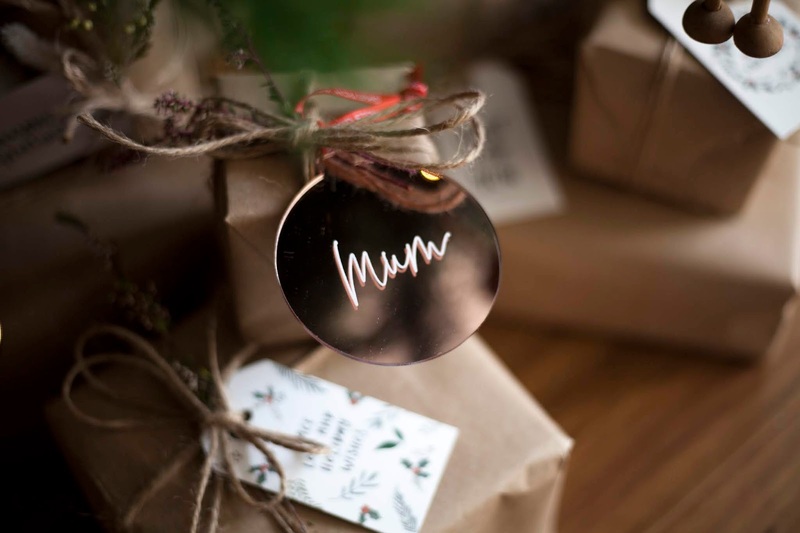 They are a unique subscription box in Australia that offers you access to a variety of beauty products from around the world, all without having to leave your home. 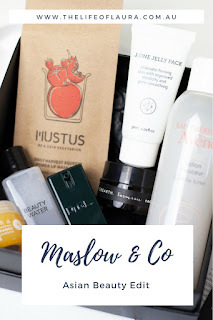 Each Maslow & Co. box contains up to 6+ products. 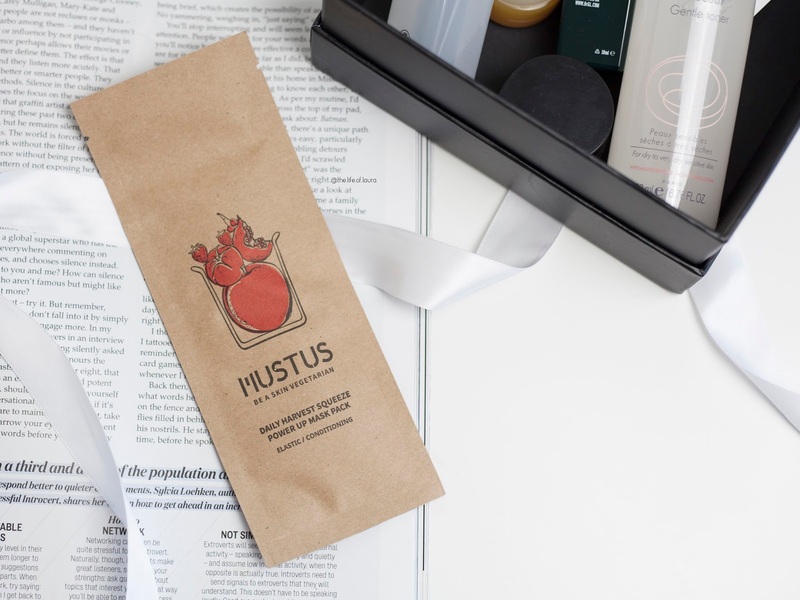 Forget miniscule barely-single-use sachets, our miniatures are substantial so you can truly test out the product properly to find out what really works for you. 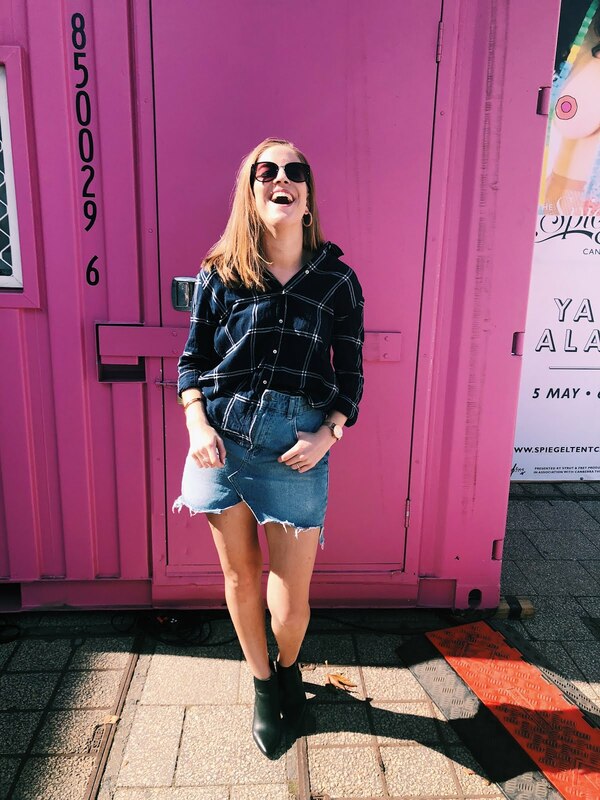 They include unique brands from a variety of regions from around the world, allowing you to get a taste of brands you may never have heard of before. 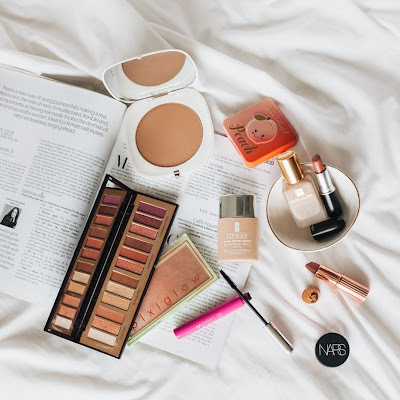 The latest box was The Asian Beauty Edit*. 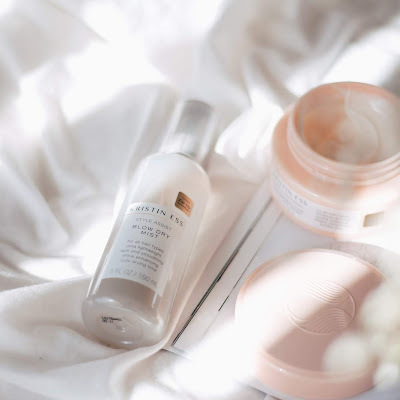 Say hello to the season’s most coveted Eastern beauty arrivals, as we expand our search across the Asian continent to uncover the new wave of beauty innovations making headlines. From Korea to Japan and beyond, prepare to discover the mind-blowing beauty treatments and secrets that will have your skin glowing and heart racing. Inside The Asian Beauty Edit were six, carefully selected products. It is probably the first ever Maslow & Co box that I actually haven't tried or even heard of pretty much every brand inside the box. I think that is what made this box so exciting, was being introduced to so many cool brands I hadn't heard of before. An ancient Ayurvedic recipe this hand blended treat is a union of biodynamic turmeric, Kashmiri saffron, Persian walnuts, bitter apricot kernels and neem. 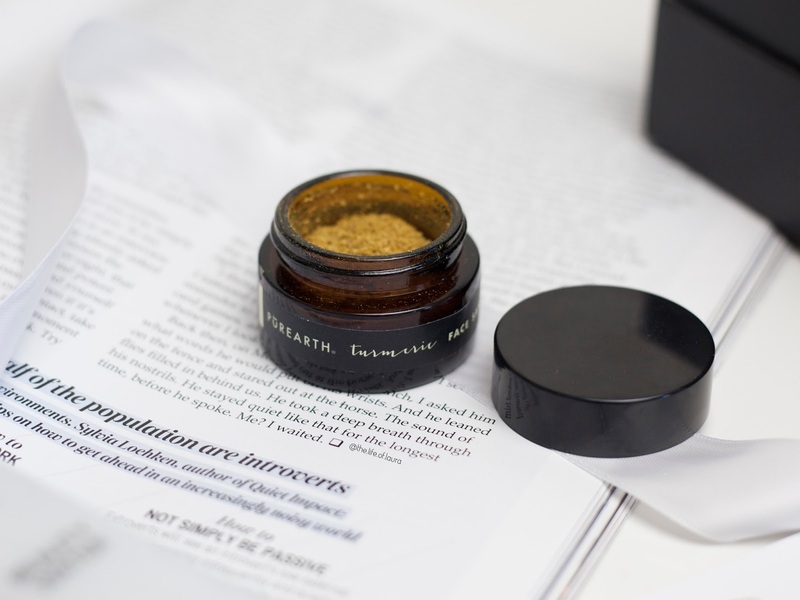 Gentle and supremely effective, it lifts dead skin cells, drawing out impurities, clearing acne, congestion, blemishes and encouraging blood flow. Skin is left polished, glowing and silky smooth. This is a cute little powder exfoliant. To activate, you simply mix a small amount with water, milk, honey or yoghurt to create a wet paste. Then you massage it over your face. You can leave it on your skin for up to 15 minutes as an acne treatment, or just use as an exfoliant, massaging it in upward, circular motions. Or better yet, do both! Apply to the skin and then massage to remove. I tend to use water to create my paste, occasionally adding a couple of drops of face oil into. I have found it a really nice exfoliant. I haven't been using it long enough to get clear results yet, but so far I love how my skin feels after using it - soft and refreshed. 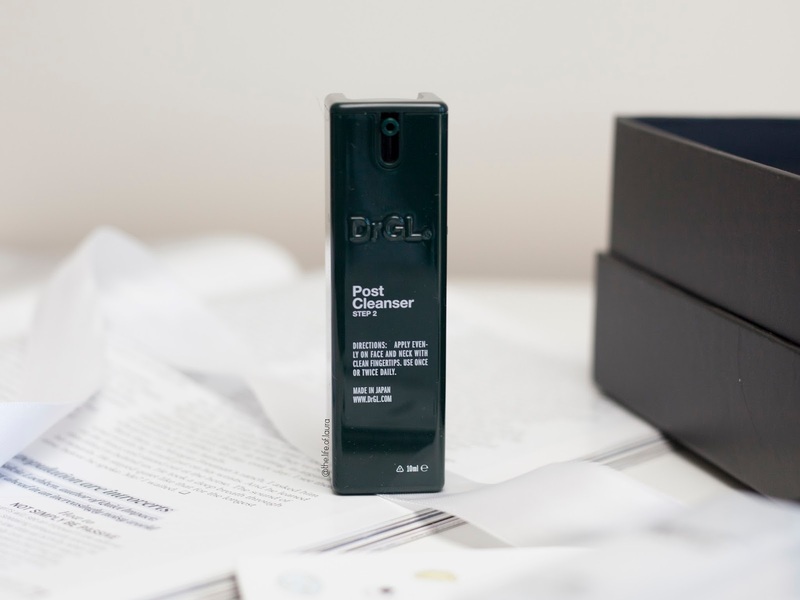 As the name suggests DrGL® Post-Cleanser Step 2. is designed to be the second step to your cleansing regime. This mild chemical peel gently sloughs off dead skin cells to prevent build-up, leaving skin in optimal condition and primed to receive the full benefits of skincare that follows. 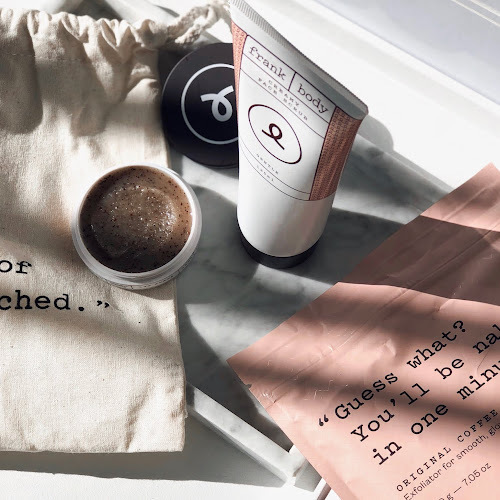 But if the word “peel” scares you, you’ll be happy to know that this formula uses lactic acid, a gentle form of acid that is known to simultaneously hydrate skin. I am a big fan of chemical peels. Give me glycolic, salicylic or lactic acid any day of the week. I just think chemical peels are a great way to even out texture, reduce scarring and just leave your skin looking amazing. I actually haven't used lactic acid before, I am usually a glycolic or salicylic girl, but I am loving it so far! I apply straight after cleansing my skin (hence the name step 2), and then just follow with my moisturiser. I have been just using it at night so far, because I prefer to use chemical peels just as at night. My skin hasn't had any dryness or irritation from using it, so I cannot wait to see the long term effects from using this. Crafted with powerhouse ingredients as essence, hyaluronic acid & collagen, this orange balm gently emulsifies makeup and impurities to wash away the day’s grime. Bursting with the scent of zesty citrus, skin is left cleansed, supple and radiant. You’ll soon discover why this is their top selling product. 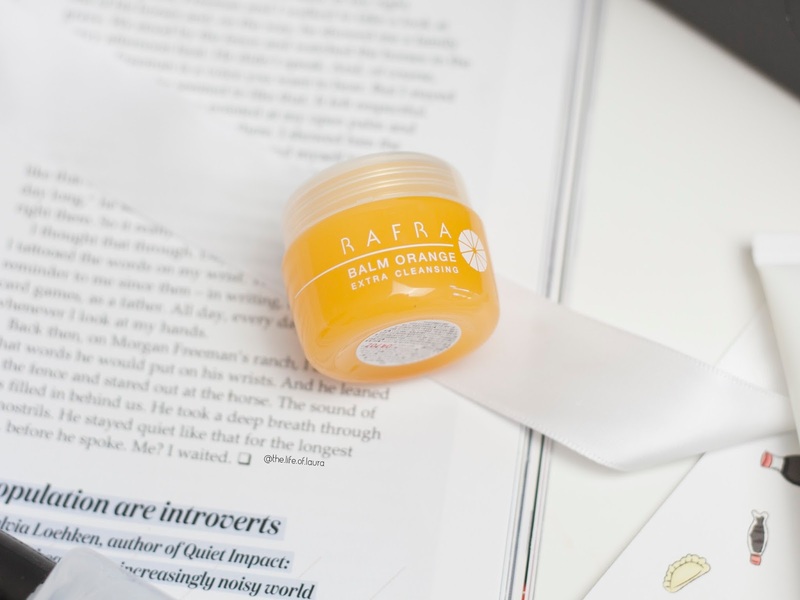 This is essentially a cleansing balm, but with added bonus! And you know how much I'm loving cleansing balms at the moment, because they are just way more hydrating than normal cleansers. Plus, this has hyaluronic acid in it, so it was always going to be a winner for me! Anyway, you just take a small amount in your hands, rub together and then apply to dry skin (you can use a small amount of water if you wish, but you don't need to). Next, wet a clean muslin cloth with hot water, and wring the cloth damp. Place the cloth over your face and wait a moment for the steam to open your pores. Then you would follow with your second cleanse. It leaves your skin feeling amazing - clean, soft and hydrated (all the things I want from a cleanser and more). Best of all it has a nice, refreshing citrus scent. Searching for taut, dewy skin that holds onto makeup? (Who isn't!). Introducing J. One Jelly Pack, a beauty game changer that works as a hydrating mask and makeup primer in one. The unique, jelly-like texture liquefies onto skin with gentle patting, creating a sticky canvas that helps to grip any makeup applied afterwards for prolonged wear. This, to me, is the most interesting product inside the box. It is essentially a primer, and has had stellar reviews all over the internet. 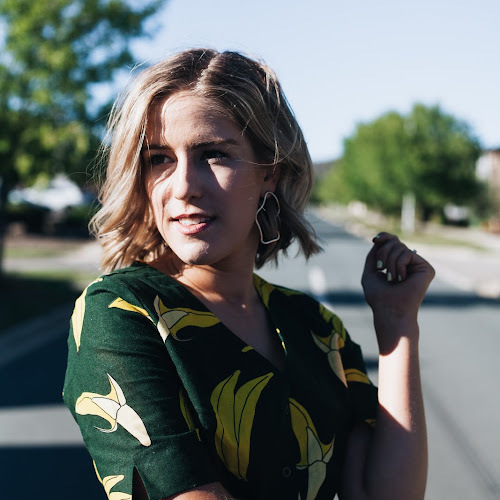 You can apply it on to your skin, leave for 30 seconds and then blend in until absorbed and can be an easy, one step routine to leave your skin hydrated, your pores minimised and your make up will sit perfectly over the top. I have only used it a couple of times, but it seems really nice and I am excited by how well my make up lasts over the top of it as well - no dryness or flakiness when I wear this underneath! 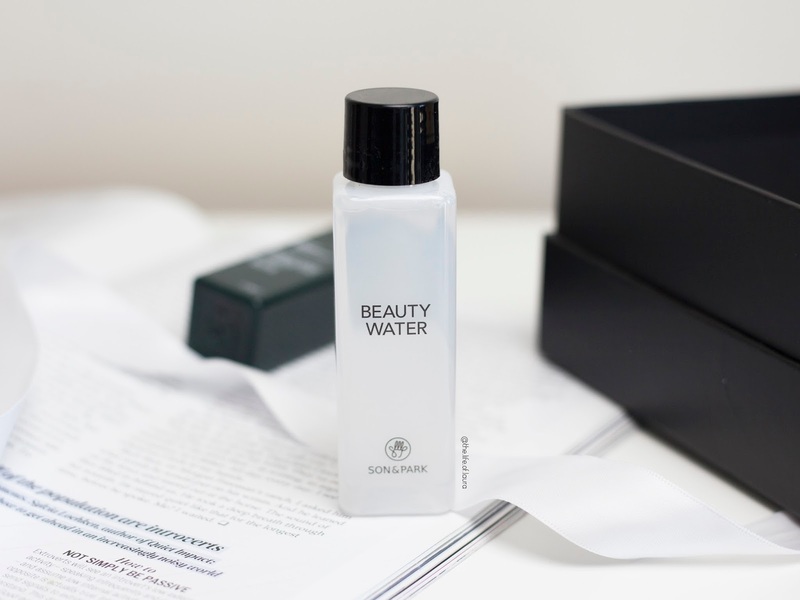 This multi-tasking toner and cleansing water has quickly become a cult favourite, with the beauty awards to prove it. Its powers lie in its ability to create a clean skin base. Papaya extract works to reveal brighter skin tone and smoother texture while lavender water, rose water, and orange fruit extract impart a subtle hydration. Multitasking is all the rage at the moment, so I was really excited to try this out. 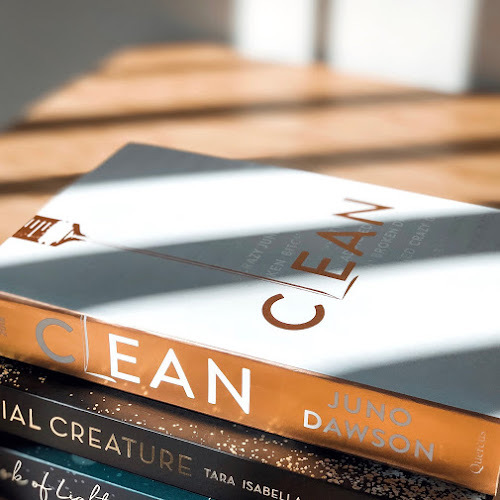 It can be used in a number of different ways - like a micellar water, cleanser or make up remover, or even a gentle toner (it has a pH of 4.5 so it's perfect for resetting the skins natural pH after cleansing). I use it a bit like a second cleanse and toner. After cleansing my skin, I apply a small amount to a cotton pad and swipe across my face before following with serums and moisturiser. It has a subtle scent, but works extremely well to cleanse and leave my skin feeling refreshed. I am pretty impressed with it so far! This is an exciting, exclusive release with Maslow & Co. You can't get this brand in Australia, except through Maslow! You know how much I love my sheet masks, so I was extremely excited to try this mask out! I was actually really impressed with this mask. It was a really light, cotton material but it had a lot of liquid. My skin felt amazing after using it though - hydrated and refreshed. I would definitely buy more of these sheet masks, which is always a good sign. 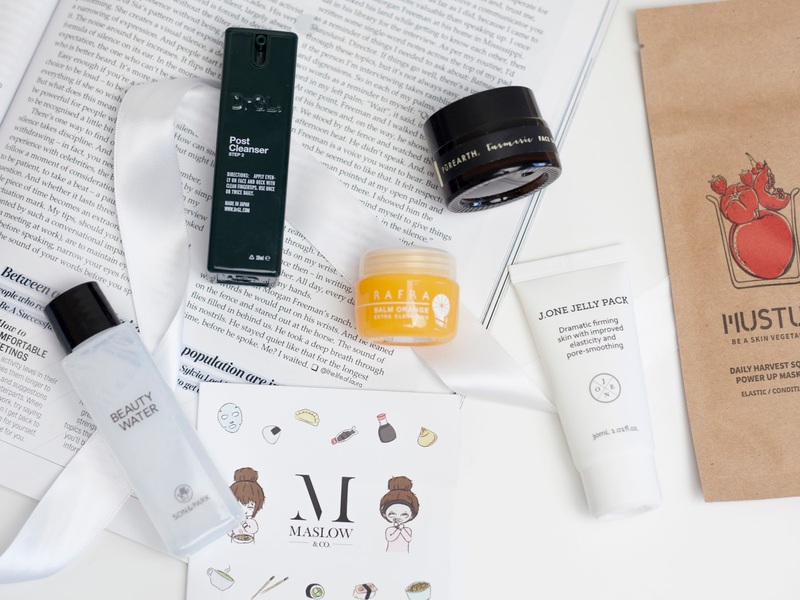 Subscribe to Maslow & Co's USA Beauty Edit and use the code 'LAURA' at checkout to get three MUSTUS masks completely free! A compliment to make-up removal, this elixir moisturises, refreshes and tones the skin while sweeping away impurities without causing irritation. 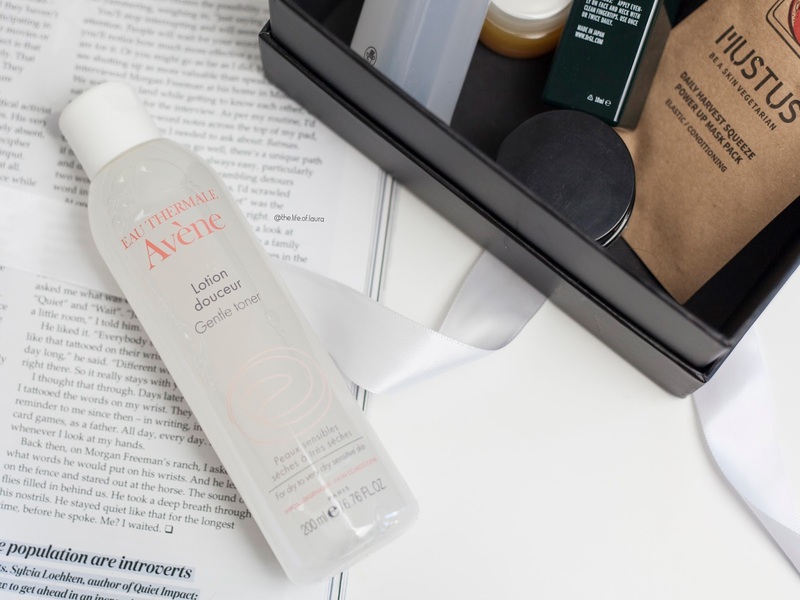 I actually haven't used much Avène before, they have always looked lovely, but I have just never tried much from them before. I was super excited to find a FULL SIZE bottle of the Gentle Toner inside my box as well. I can't say I notice dramatic changes in my skin when I use this, but it is a really nice second cleanse, or way to calm the skin if you're having issues with irritation.